Touted as an emerging food-driven city with local tourism booming and considered as a new foodie destination, Greenville offers more than just being one of the biggest cities in South Carolina. 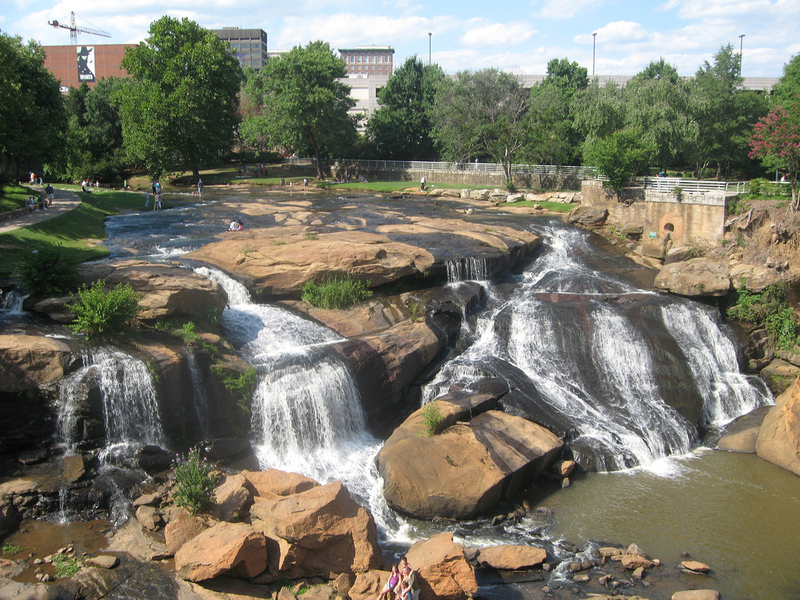 This big city is known for its beautiful main streets, side streets, outdoor parks, and the Reedy River Falls, and for the past decade, restaurants and dining spaces started to emerge. With Greenville considered as a culinary tourist destination, top chefs started to look and turn their heads to take part in this city’s dynamic culinary scene. Wide range variety of restaurants and most renowned kitchens serving upscale dining experience, regional cuisine, international dish, or anything in between can be found here, including fine dining restaurants. Here is a tour of some of the great restaurants in town. Your South Carolina adventure will never be complete by visiting Greenville’s fine dining restaurants offering different meal course for your own tastes, and common staple foods, which I believe will surprise you, Pimento Cheese and deviled eggs. Let me share to you some of the must-visit fine dining restaurants based on diners’ experience, reviews, and ambience. If you are looking to buy wine, or drink wine may it be domestic or international of the kind, Northampton Wine Café must be in your bucket list. Northampton wine also offers classic cuisine to perfectly accompany wines. Their chefs are devoted to creating the most beautiful crafts made from freshest ingredients and skilled techniques to develop excellent taste. For steak lovers, Ruth’s Chris is a perfect destination for you. Located along the banks of Reedy River, Ruth’s Chris is labelled as “Home of Serious Steaks” that features USDA Prime Midwestern beef that is perfectly aged to perfection. Ruth’s Chris broils its steak at 1300 degrees and serves sizzling to offer you a juicy, delicious and hot to the last bite. They also offer signature desserts from Warm Apple Crumb Tart to Chocolate Sin Cake or Crème Brulee. There are also wines of 175 vintage selects to choose from in complimenting your meal. Another one found at the heart of downtown Greenville is home for southern-inspired cuisine, Soby’s New South Cuisine will introduce you Greenville’s rich history using food. Soby’s focus on locally grown and seasonal ingredients for their dish and puts a modern twist on their regional dishes. They will serve you the food elegantly and excellent to give you an authentic taste. A diversity of dining stops in Greenville not just offer three of these mentioned restaurants but more of it from casual dining to formal dining, burger joints to pizza shops, café to wine bars and more. Tour agencies also offer dining tours to this town’s best food haven or you can try it and experience on your own. Greenville, South Carolina has become popular for its barbecue but a decade ago people hardly stopped by to eat in the small town. Over time the town has grown and now has over one hundred restaurants all offering different mouth-watering dishes. 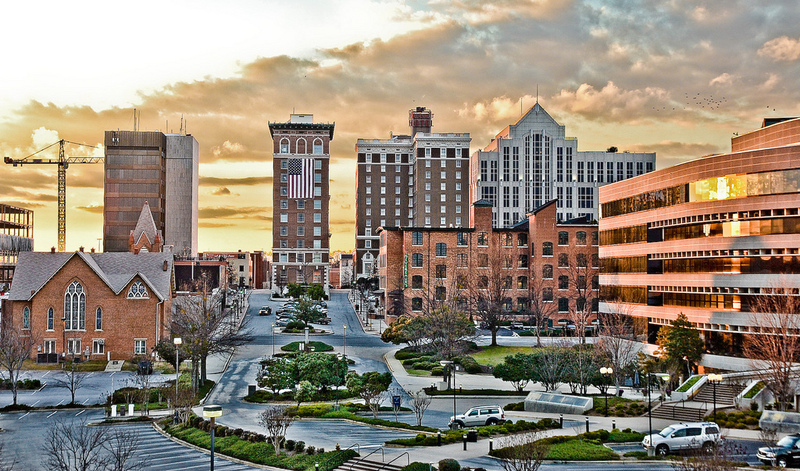 Some of the main reason to visit some of the Greenville restaurants is because of its barbecue, steak, its local cuisine and also its craft breweries. While at Greenville the local’s choice of restaurants depends on what they want. From its barbecue, to dining on the edge and also if you want to eat uniquely you can also get it from the town. Opened by Julia and Jason Scholz the restaurant is known for its French food such as pickled shrimp. Other than that it has a flexible menu that goes hand in hand with the seasonal changes in the place. The hotel also supports the local community by buying its products directly from the residents. The restaurant stands out in that it has unique and eye-catching paintings that can be noticed from a distant. The owners here collaborate with the locals in order to get fresh produce for its hotel. All the food prepared here is locally produced such as the Asian pear, the whipped ricotta BLT among others. While eating out at a restaurant does not have any significance on you but dining at Schwaben makes you feel like a local. From its elegant setting to its local bar the hotel makes you feel at home. Some of the meals offered here are maultaschen and schnitzel and drinks such as the pomegranate martini and German beer among others. The hotel has a wonderful view of the Falls Park bringing with it a wonderful atmosphere inside the restaurant. The menu here is versatile as it offers different meals. From handmade pasta to fresh oysters among others, the meals here easily go down. The place offers a variety of fine wine. The restaurant has perfect dishes which is quite unique. Its style is mostly traditional and upscale. It can also be used to host occasions and is the perfect destination. With its special view, this is the perfect place to celebrate special occasions. It offers traditional dishes that meet the standards of the Southerners. The hotel offers European dishes with a little touch of the south. Its meals range from chips, Lamb, Mussels among others. This is the place you will enter and be spoilt for choice on what to take. Trying new restaurants is always a good thing to do. You can discover new places to have dinner with friends, new dishes and new recipes. Nonetheless, finding new restaurants in your area of residence can be daunting, particularly after you’ve finished trying all good ones. Fortunately, there is an excellent opportunity for you to try any restaurant in your city, without having to book a table or to put up with a long commute to get there. This method is to use food delivery apps. 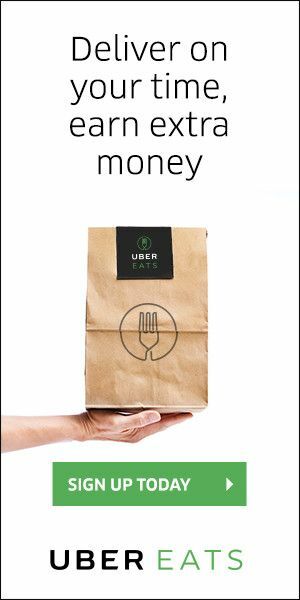 If you don’t know what food delivery apps are, you should head over to your mobile, and take a look at all available apps. Search for food delivery to see what apps you get, and try to install the ones that have high ratings and a big number of positive reviews. The main advantage of using food deliver apps in Greenville is that you can try out any dish at any restaurant within their area of coverage, without having to actually go there. This means you don’t risk to spoil your evenings with poor quality experiences. You’ll order some of their dishes, and try them in the comfort of your home. You can invite your friends over, but in case the food isn’t good, it won’t ruin your evening. This is a great method to put together a list of good places to have dinner on special occasions. As you’ve tasted their food before, you know that your experience will be positive, without any doubt. You can even set the stage at home for a romantic dinner with your date. If you don’t want to risk taking her to a bad restaurant, you can always buy some candles and some roses, and place the food order in your favorite app to have it delivered to your door. This is a great solution for all those who don’t know how to cook or don’t have the time or a proper kitchen to do it. You can impress your fiancee by choosing some dishes you already know she likes, and by decorating your place in a romantic manner. The other advantage of food delivery apps is that they save you from having to book tables. If your favorite restaurants are always full, you may need to book a table with weeks or even months in advance. This doesn’t leave a lot of room for spontaneity, as you won’t find a table for dinner on a very short notice. You can have an ad-hoc party with your friends without needing to find a restaurant, as you’ll only need to pick the favorite foods from your favorite one, and place an order in the app. You’ll get your food right on time for the party, and everything will be freshly cooked and delicious. Of course, this applies only for restaurants you have already tried and you know they have good food. If you work in an industry that requires you to take your business partners out to dinner, you may want to try a new restaurant every now and then. If you don’t go there to try their dishes before your business dinners, you may have some nasty surprises. Why not go for the best ones right off the bat by trying out their food beforehand? You don’t have to waste your time, as you can order the food and have it delivered to you, so that you can enjoy it in the comfort of your home. This can be a great time and money saver. As you probably know already, once you go out for dinner, you’ll have some expenses on top of the food costs. You’ll want a bottle of fine wine, perhaps some water, a coffee, and other such things can can easily add up to an expensive bill. If the food isn’t that good, you’ll be disappointed. You can avoid such situations by using food deliver apps. Just order to food, and use the wine and the coffee you already have at home. This is a huge saving, as buying wine from shops is way less expensive than ordering it at a restaurant. The same applies to coffee and sodas. As you can see, these apps can be a great alternative to going out. Use them to make your life easier. 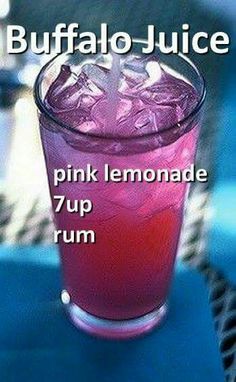 and it's pink!and it's pink! I've compiled 15 drink recipes from some of my blogging friends to help you stock up your recipe collection. 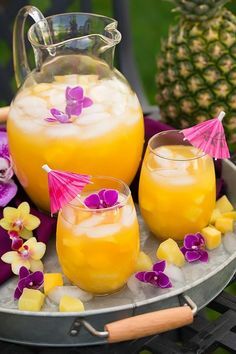 This is a fantastic..I've compiled 15 drink recipes from some of my blogging friends to help you stock up your recipe collection. This is a fantastic..
Rare Greenville Copyright © 2019.